Assemblymember Wendy Carrillo, left, with Gov. 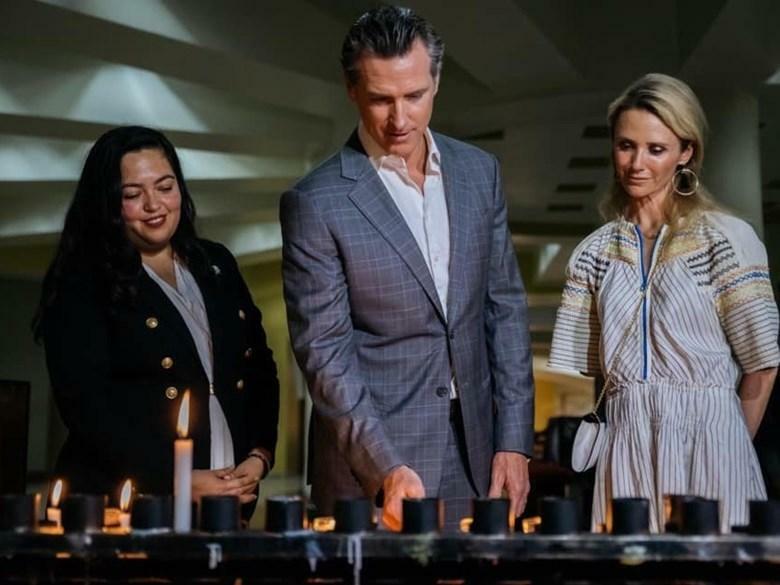 Gavin Newsom and First Partner Jennifer Siebel Newsom in El Salvador on April 7. It's day two [Monday] of California Governor Gavin Newsom's three day visit to El Salvador. It's his first international trip since taking office. Newsom is in the country to learn more about why thousands are fleeing to the United States. CALmatters reporter Elizabeth Aguilara, who's traveling with the governor, says Salvadorans seem happy Newsom has come. Newsom met several people who fled the country and were sent back after being stopped in Mexico. One told the governor he left because gangs began extorting his family, which owned a farm. Another told Newsom she was searching for better economic opportunities. Newsom also met with Salvadoran President Salvador Sanchez Ceren and the U.S. ambassador to El Salvador.